On Monday 1st April 2019, Anna Kennedy OBE was invited to Amadeus IT Groups Autism Awareness Day by Lesley Taylor People and Culture Advisor. Day one was staff experiencing The Autism Reality Experience. Tomorrow a presentation by a world known Human Rights Lawyer. The Autism Reality Experience is suitable for everyone including families and professionals. It is has been developed to give people an experience of the sensory processing difficulties faced by people on the autism spectrum. Since Amadeus was founded in 1987, the company has grown to become one of the world’s top 15 software companies. They have operators in 195 markets, with a global community of more than 16,000 people of more than 140 different nationalities. Much of what the company does is behind the scenes, but is mission-critical work with widespread impact. Flight search algorithms, systems that board over 4 million passengers a day, resource management tools for the world’s busiest airports…Amadeus are shaping the future of travel. At Amadeus, they recognise that their culture, identity and sense of inclusion is shaped by their staff. In UK offices they have 38 different nationalities working collaboratively to inspire innovation, excellence and a shared sense of purpose. 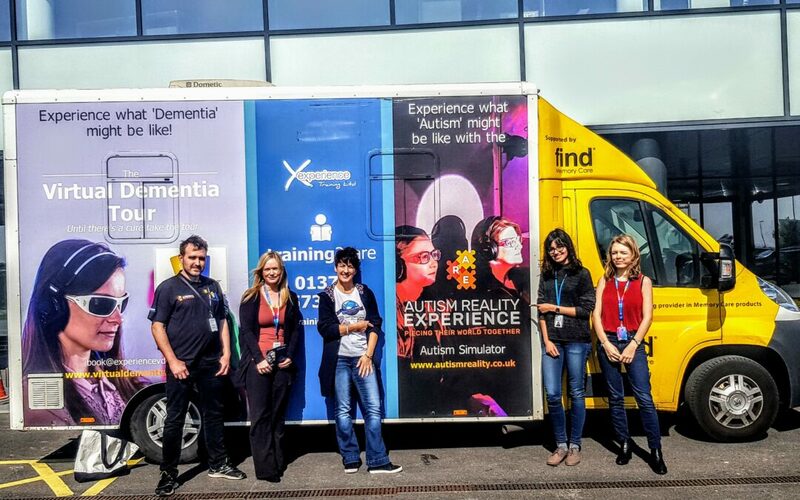 Within this community the staff are passionate about diversity and inclusion initiatives and with this being World Autism Awareness Week have taken the opportunity to set up a range of activities that employees can participate in to raise awareness and acceptance of autism as well as support and educate.